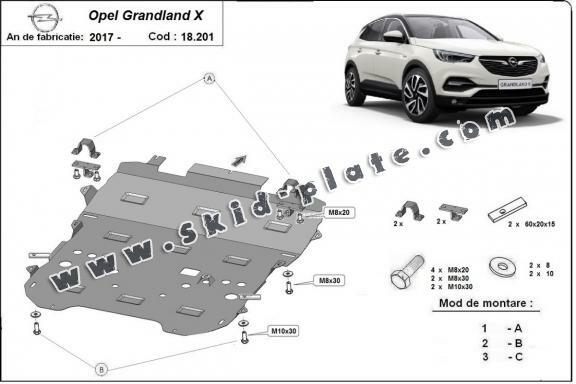 Steel skid plates for the engine and gearbox for Opel vehicles, Opel Grandland X model, for various years of manufacture. Steel skid plates, 2-3 mm thickness, easy to mount, at affordable prices. Steel skid plate for the protection of the engine and the gearbox. Our skid plates are made of 2-3 mm thick steel plates with powder coating.